Investors seeking to obtain citizenship of Antigua and Barbuda through investment have the option of investing in a business. The business must be approved by the Citizenship by Investment Unit acting in consultation with the Antigua and Barbuda Investment Authority. Investment of at least $1,500,000 in an approved business by the applicant on his or her own behalf. A joint investment application made by two or more persons in an approved business. The total investment must be at least $5 million. Each applicant participating in the joint investment must contribute at least $400,000 towards the investment. Applicants seeking to apply for citizenship through the business investment option should contact the Antigua and Barbuda Investment Authority to discuss the investment proposal. Upon approval of the business investment proposal, the citizenship by investment unit will consider the application and require payment of requisite due diligence fees and 10% of the total government processing fees. The application shall be processed and verified by the agency implementing the program. The Citizenship by Investment Unit shall verify the application form and convey a notice of approval, rejection, or continuation of processing due to delay within three months of the submission of the application. Upon approval, the Unit shall issue a Letter of Approval along with instructions for the deposit of the remainder of the government processing fee, passport fees, and the business investment amount. The payments above must be made within a period of 30 days from the approval of the application. Due to the variable nature of such business investments, the transfer of the investment must be completed within the specified time period even if the negotiation and finalization of the escrow agreements between parties is pending. Upon submission of proof of payment of all necessary fees and payment of the contribution amount, a Certificate of Registration of Citizenship will be issued to the applicant and all eligible dependents. 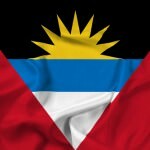 The applicant will be required to take the oath or affirmation of allegiance upon his or her first visit to Antigua and Barbuda. Alternatively, the investor can visit an embassy, high commission, or Consular Office in his/her country of residence to complete this requirement.